Where do begin! I first met Julie and her team in 2014 when she photographed one of my girlfriends weddings. 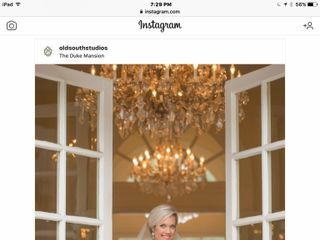 She has since photographed so many of my friends, and I knew immediately Old South Studios would be my photography team one day. My husband and I got married September 29th and we came home to find our entire photo gallery waiting! Every. single. photo is beyond what we could have imagined. Dana photographed my wedding and captured the most tender and loving moments between our family and friends and will be memories I will cherish forever. I used OSS for our engagement photos, bridal portraits, and wedding and simply wouldn't trust anyone else to capture such special moments. Julie even showed up on my wedding day on her way to photograph another wedding just to say hello. She is professional, prompt, and a total boss-woman in managing such a phenomenal studio. Working with Julie and her amazing team has been a pleasure. Oh sweet, Laura! We have loved working with you so much! Your trust in our team means the world to us. You have been a dream bride! 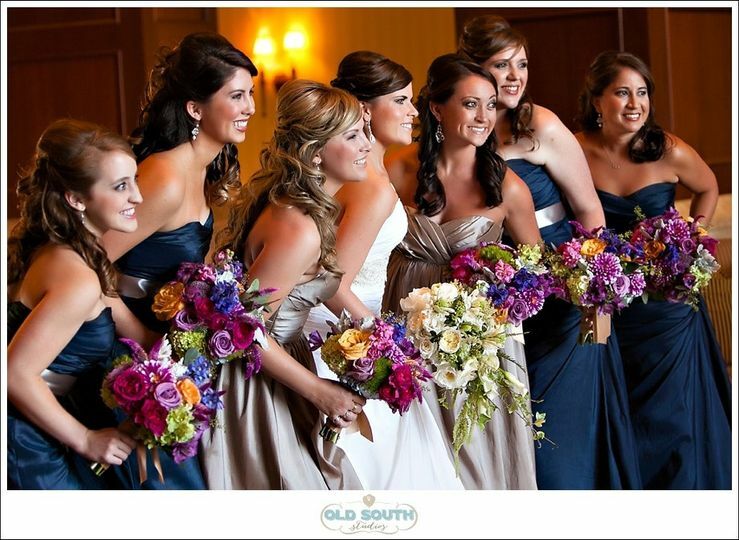 I will say right off that Julie Staley with Old South Studios is the BEST photographer you can find! 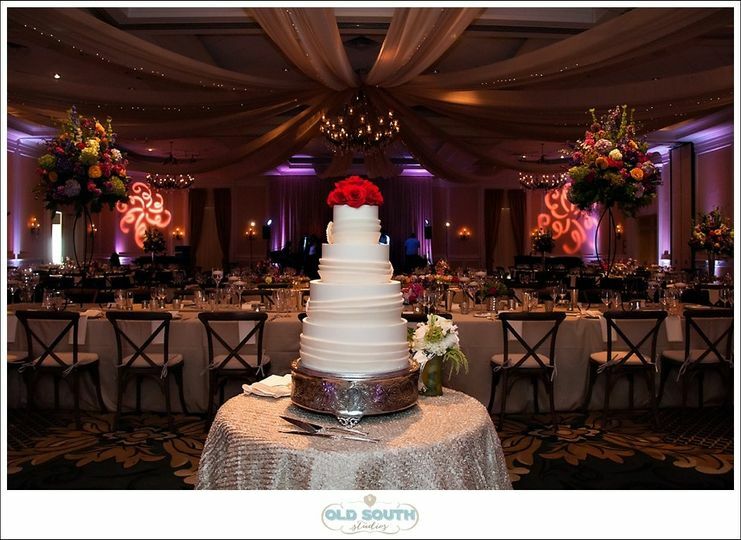 After finalizing our wedding planner and our venue, The Duke Mansion, the first vendor our wedding planner (who has worked as an event planner for over 14 years) said we needed to secure was our photographer, Julie at Old South Studios. Knowing how important it is to have an A+ photographer, my daughter, her fiancé, my husband and I all met with Julie. We knew immediately Julie was the one. She not only does exquisite work, but her eye for picture taking is amazing--she is truly a master at her craft. Her pictures are timeless (not trendy)--something you can look at in 20-30 years and still love. As important as that was to us, the real thing that hooked us was Julie's personality. She instantly makes you feel like her best friend--and she will take care of you. 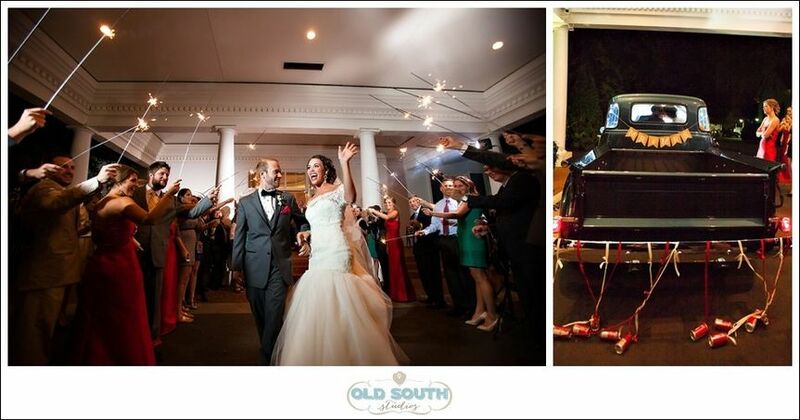 As busy as she is photographing weddings, she has the ability to make you feel like you are her only wedding! She is available to help you select your other vendors, answer any wedding related questions, and help you with a timeline to make sure everything goes smoothly. My daughter truly felt like Julie was her best friend and--made a girl who did not really want to be the center of attention--feel totally relaxed and happy because she knew Julie had everything under control. Julie took Emily and Nick's engagement pictures--and they could not have been better. 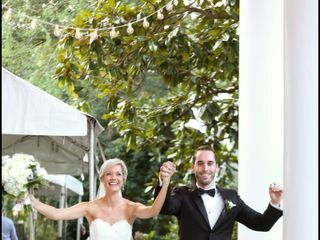 Julie has a way of capturing the perfect scenes and facial expressions for both formal photos--as well as informal photos--and she takes the stress out of having your picture taken--making it a fun event. 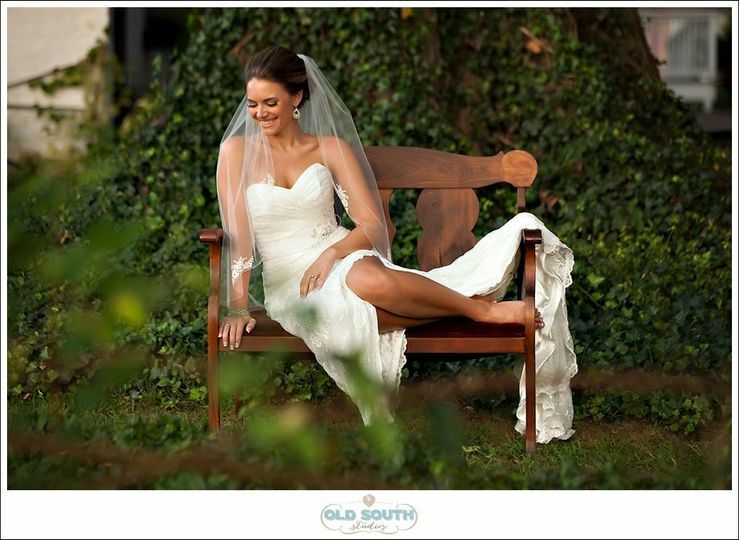 Next, Julie took Emily's bridal portraits at The Duke Mansion--again PERFECT! She is so organized, knows exactly what to capture and exactly where to capture it. Julie was so professional that on-lookers thought it was a photo shoot for a model. She made Emily so at ease--and all the pictures were more than beautiful. Next--the wedding day! 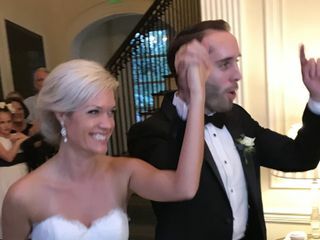 Emily, and especially Nick, were not too sure whether they wanted a first look or not--and after talking to Julie, she convinced them that they would be glad they had a first look. Wow, was she right!!! 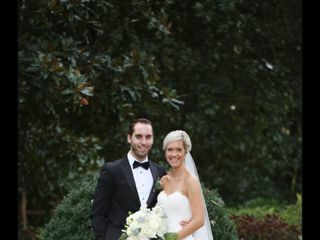 As a result, the bride and groom ended up having two first looks--one before the wedding and one at the wedding. Nick said he was so nervous before the first look that he could not have imagined having it at the wedding. It was the best decision ever! 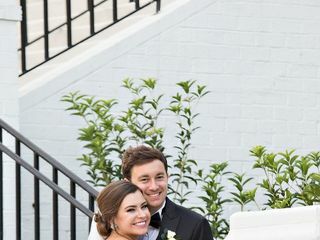 Julie also captured special mother and bride photos as well as Emily's first look with her dad--which was ever so special!! 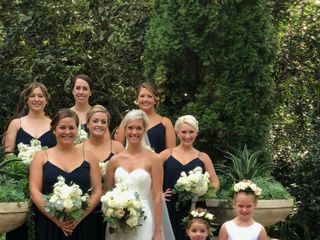 All the wedding ceremony and reception pictures were perfect and taken so quickly--no one missed a beat! Julie even made sure to capture great shots of all the children in the wedding, stunning night shots of the couple outside in the courtyard, final dance pictures of the couple, and excellent shots of the couple leaving at the end of the night. We will be forever indebted to Julie and Alyssa for capturing everything perfectly. And to top it off, Julie sent out a sneak peek of some of the pictures the day after the wedding--and she had ALL the wedding pictures completed and to us within two weeks of the wedding. I would have given Julie and Alyssa 100 stars if we could have. After seeing them photograph our wedding, it is easy to see why Julie is called upon to capture daughters two and three for some families. 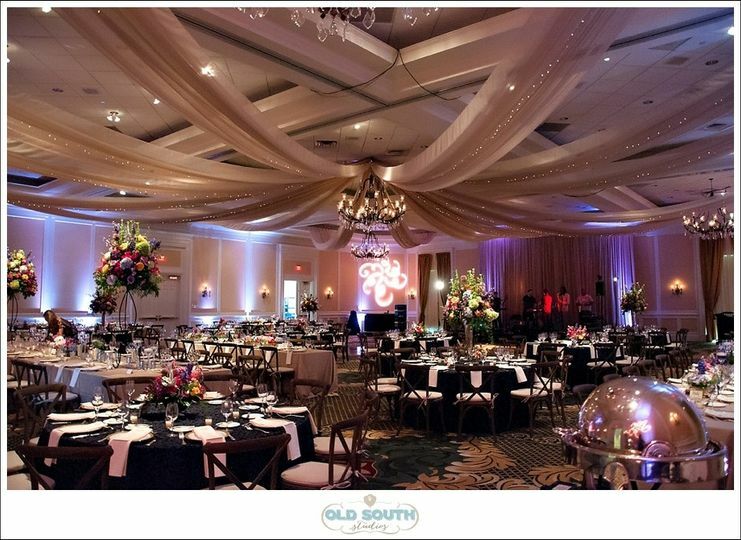 Julie runs a great business (Old South Studios) and is truly the BEST of the BEST! I can promise you that you will not be disappointed in any way!!! Oh sweet Carol!!! I adored working with you and Emily! Your family was so gracious and kind and telling your story was MY PLEASURE!!!! Thank you so much for your kind review. It means the world to us! 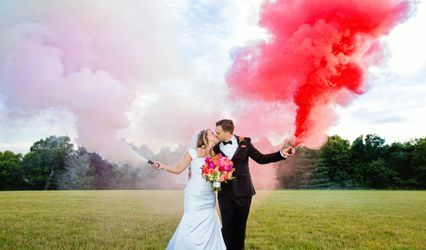 Hiring an A+ photographer was top on my list when it came to picking vendors for our wedding. 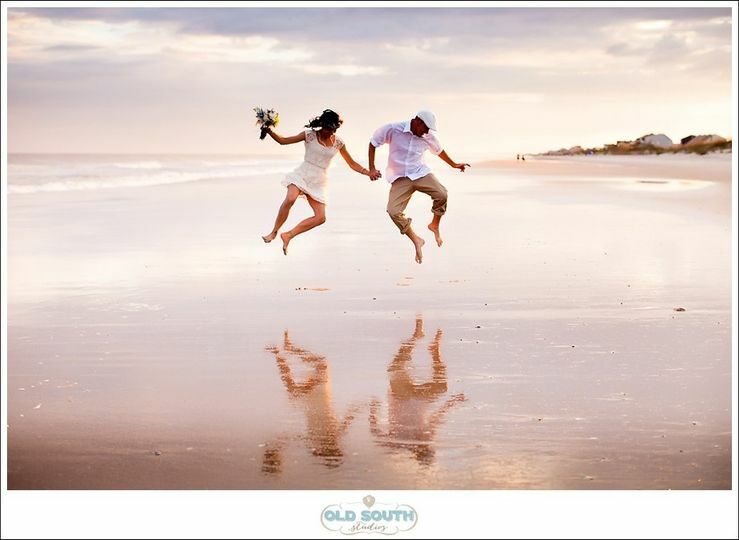 As soon as we met Julie at the consultation I knew Old South was a perfect fit. Julie even emailed me a list of other vendors she would recommend. From the beginning Julie made me feel like I was her only bride. She is super responsive, creative, organized and kind! We went with Alisha to photograph our engagement pictures and wedding pictures. She also did my bridal portraits. Alisha IS THE BEST! We loved getting to work with her prior to the wedding. We even did some fall pictures with Alisha. She made us feel beyond comfortable in front of the camera and made sure we looked 100%! 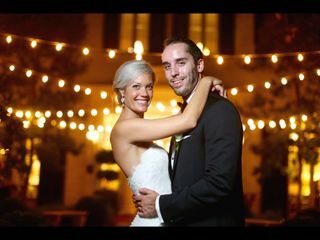 We received the link to our wedding photos less than 2 weeks after the wedding! We got to enjoy looking at them on our honeymoon. We were absolutely wowed by how beautiful the photos were! 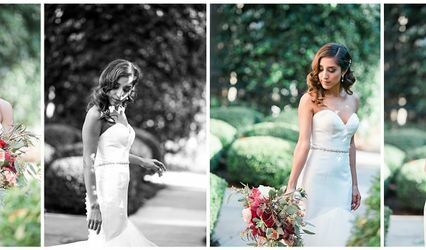 Alisha captured so many beautiful moments without anyone realizing she was even there! 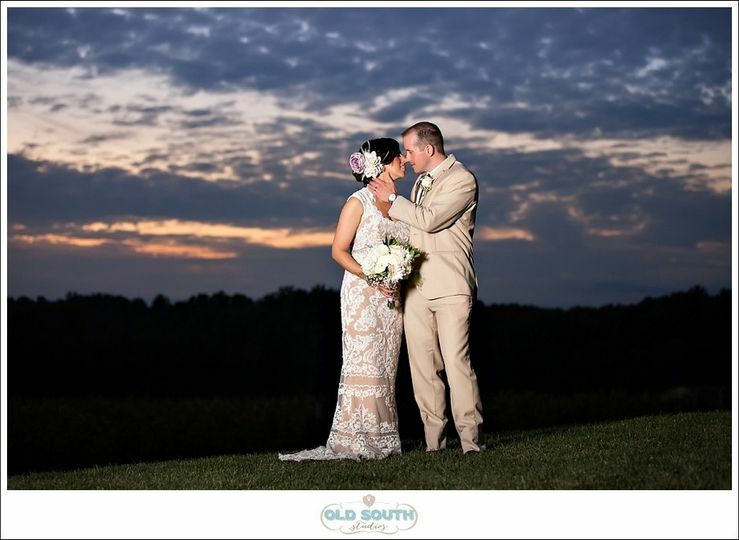 Pictures last a lifetime and I am SO HAPPY we went with Old South to capture our big day! We cannot thank you enough for your sweet review!!!! We have SO loved working with you! Alisha raved about you as much as you do about her. Such a dreamy wedding!